We recommend the following accommodations. All participants (except for the invited speakers) are encouraged to make reservations as soon as possible. 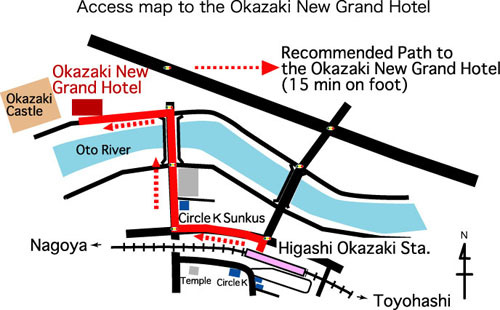 Rooms for the invited speakers have been reserved at the Okazaki New Grand Hotel by the conference office. *Attendees of the conference receive a discounted rate. F: Green Hotel "Rich Tokugawaen"
The lodge is located next to the venue. 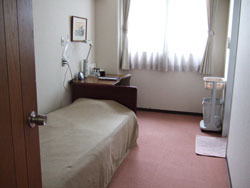 Single rooms are equipped with a bathroom, refrigerator, a TV set and an in-room wireless Internet connection. A wired Internet connection is available in the lobby. The conference office reserves rooms for the participants. The number of reserved rooms is limited, so the booking of a room will be on a first come first reserved basis. 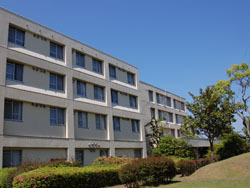 If you wish to stay Mishima Lodge, please contact us at "conf64@nibb.ac.jp".